TimeShare Industry - Linx Legal Inc.
Our team performs an ownership reduction or a rollback of your timeshare ownership. This provides a more comfortable and manageable level of fiscal responsibility, typically to where the owner has no more financial obligation to the developer. This service would comprise of a complete cancellation of your timeshare ownership. This service will eliminate all recurring points received on an annual/biannual basis, and any financial obligations still owed to your developer. This includes elimination of all future monthly/ annual maintenance fees any mortgages. A timeshare is defined as an arrangement whereby several joint owners have the right to use a property as a vacation home under a time-sharing agreement. The reality of timeshare is that most people are pressured into making a purchase to enjoy a quality vacation at these resorts, only to find out that it is extremely difficult to get the reservation they want. The cost of that timeshare vacation far exceeds the cost of renting the same vacation from the timeshare developer. Owners eventually find out that they can purchase the same timeshare for pennies on the dollar on eBay and other rental/resale websites. Check here! The two happiest days of a timeshare owners life are the day they buy it and the day they get rid of it. Like a boat, a timeshare is a headache all year until you use it... and then they tell you it's broken and you need to invest more money to fix it. At Linx Legal we offer the option to help you get out of a timeshare debt you may have incurred under false pretenses including malicious sales tactics with excessive interest rates by linking you with the proper law firm and/or company that best suits your situation. 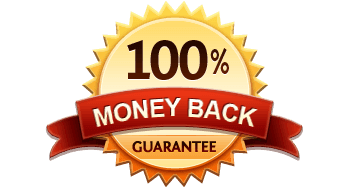 We take the risk out of your hands by backing these law firms/companies with a 100% money back guarantee by Linx Legal Inc. Fill out our timeshare questionnaire above to see if you qualify for our services.